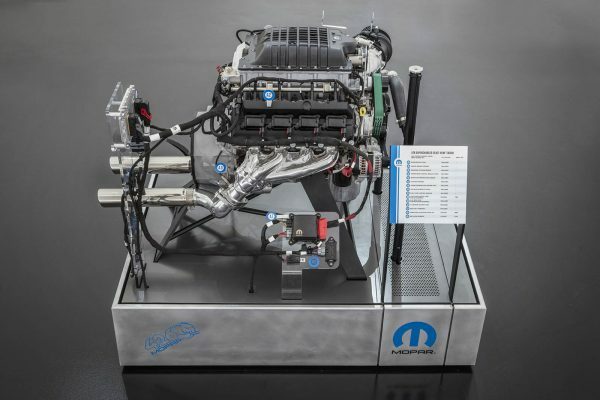 Mopar teased us for days about something special they would announce at SEMA 2018. They did not disappoint. 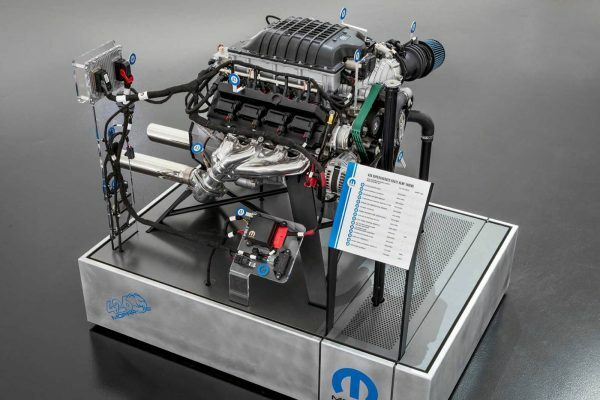 The company just debuted a supercharged 426 ci “Hellaphant” V8 crate motor. The all-aluminum engine features a 4.0-inch stroke, 4.125-inch bore, special high-lift cam, custom forged pistons, and Challenger SRT Demon valvetrain. The engine makes 1,000 horsepower and 950 lb-ft of torque. The company hasn’t released the price but it will be available for purchase in the first quarter of 2019.